Spike video and TV site is special because you can watch full episode series here, you can only find small pieces of episode on other video sharing sites, while you can watch full episodes on spike.com. There are also video clips and Live TV on Spike.com, so I have to say it’s one of the best digital entertainment providers. How to grab and save video clips, episode and live TV from Spike? I have tried numerous video downloader software and apps to grab videos from spike without success, it looks the spike Tv works like hulu, Netflix, you can’t download video with video downloader and streaming video recorder software. How can save my favorite episodes from spike, I don’t care to pay for that if you can offer the solution! This way is by far the most effective way to grab videos from spike, it works like grab your screen video, and you keep what you play on the screen into AVI, wmv and other video formats you want. Download and install screen Recorder. 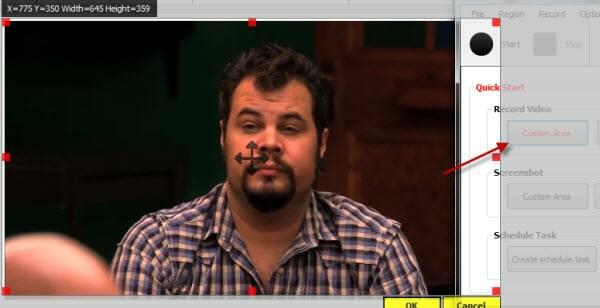 Choose customize recording area, and drag around the video you want to record on spike.com. Play the video, it will auto recorded into WMV format. There is video converter in screen recording suite, you can convert video you recorded to other formats you want. Your favorite TV show is coming tonight on spike, but you are away from your PC and will be back later. 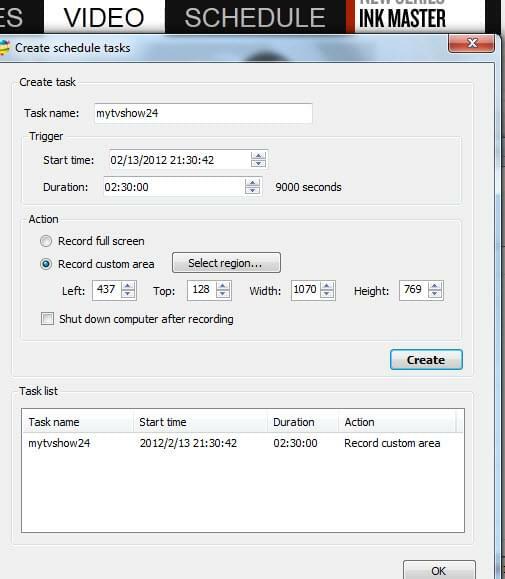 Just create a schedule recording task, you will not miss the TV show. Tips: if you are not sure which place the TV will show, I advice you record whole screen, you can crop the real video area later. Because most video from spike are live streaming video or live TV show which is transferred as rtmp and rtmpe, you can’t grab it for free with online video grabber. We advice you use Video Grabber Pro, which is combined with Screen Recorder and Streaming Video Recorder which can grab streaming video in rtmp and rtmpe. it wont let me download video grabber anymore it keep showing Response denied by WatchGuard HTTP Proxy.